What is Binge Eating? - Cedric Centre for Counselling Inc. Cedric Centre for Counselling Inc. What is Binge Eating? - Cedric Centre for Counselling Inc.
Home → Blog → What is Binge Eating? In this week’s article I am going to define binging and ensure that you have a good, clear answer to the question: What is binge eating? A lecture about the health risks and your likelihood of developing type II diabetes and/or high cholesterol, and how you really need to stop eating those sugary, carby foods and get more exercise. A suggestion about a diet he or she tried recently or someone they know had success with. A referral to a psychiatrist for medication, or a prescription that they write for you themselves for an anti-depressant or anti-anxiety medication that is supposed to help you control your appetite and stop you from binging. If you struggle with your weight and your doctor is lecturing you or prescribing medication does that mean you binge? In the first example, if you’re at all self-conscious about your weight or food you will feel bad for eating simply because someone else is judging you or because no one else is eating and you are. In the second example, you’re already feeling guilty and bad for eating when and what you’re eating and the comment of your colleague only adds to your shame and judgement. In the 3rd example, as with the first, someone outside of your body, who has no idea what you’ve eaten that day already and how hungry you are is judging how much you’re eating based on what they are hungry for and what they think is reasonable. How’s that for narcissism? And then there’s the doctor, well intended but lacking a true understanding of the bigger picture of why we have extra weight on our body and what really helps to take and keep it off, and therefore offering symptom management techniques and ineffective warnings that land more as threats and criticisms than well-meaning education. How often have you gone and had something to eat that you weren’t at all hungry for after a meeting like that? If you’re like most folks the answer is: Often. Most of you reading this article have experienced one or all of those examples I listed above. Is it any wonder we feel anxious and self-conscious when eating in public or even to tell someone what we ate? Where is the line between normal response to hunger cues, or a little snack here and there and binging? And who gets to decide where the line is anyway? Is it any wonder we don’t know what to do to get a grip on food and to feel more confident in our relationship with it? So, What is Binge Eating, Really? What do the Professionals Say? If this sounds familiar you’re in good company. In truth, the pattern of dieting/restricting and then binging and then compensating for that binge with more restriction is so common as to almost be the norm for most Women (check out some current eating disorder / binging/ dieting statistics), and, increasingly, many men, in North America and beyond. So…what have we learned about binging? Well…so far we’ve learned that the medical definition of binging is fairly loose and that every form of eating disorder can be seen to have some form of binging Okay, so. We have the medical community saying it’s uncontrolled or excessive self-indulgence; a large amount of food in a short period of time. Eating things they think you shouldn’t. My rule of thumb in regards to this side of the ‘What is binge eating’ debate is this: My job with food is to eat naturally which means to eat when I’m hungry, stop when I’m full, make the choices that will help me to be as healthy and energized after my meal and the next day, and allow everything I’d like to have in moderation. When I do this, as I have for over 20 years, my weight is a nice, stable, attractive weight for my body and I don’t have the slightest stress or concern about what others think about what I’m eating. They can comment (and some family members freely do because of their own diet focus and weight frustrations) on how much I’m eating, how fast or slow, the kinds of things I’m choosing and it really doesn’t phase or hook me. That’s because I know that I’m listening to my body and that there isn’t anything ‘wrong’ with my choice or when I’m eating. It’s right for me. So, the external definitions and judgements of binging really can only hook us when we are feeling out of integrity with our choices; when we are eating and we know we aren’t hungry or conversely, not allowing enough food even though we are hungry; and when we are having more than we need to eat and we know it. And when we believe we need that person’s approval. Maybe we don’t trust our body and the messages of hunger it sends, or to let us know when we’re really full and so we get hooked listening to others. Maybe we doubt our worth; questioning whether we are truly good enough or okay as we are and we are looking outside ourselves to others to give us the thumbs up so we can rest and finally feel okay. That’s a vulnerable place to be and will only lead us to more anxiety and insecurity and more of a need for food to cope with our stress. Our Definition: And then, finally, we have ourselves. What is our own definition of binge eating? Essentially, it’s a very personal definition. I could eat the exact same thing as you at the same time and I wouldn’t call it binging or binge eating, but you might. This is because if you aren’t approaching food as I mentioned above (eating when hungry, stopping when full etc. ), you are stuck in the diet mentality. This means that you believe certain foods are not okay for you to have and that makes you bad, or means you had a ‘bad day’ if you had them. It means that believe you should only eat a certain amount regardless of what time it is or how hungry you are. And I means that you believe you should only eat at certain times of day, again, regardless of how hungry you are. If you’re stuck in the diet mentality it means you have lost your way with food due to a perfect storm of insecurity and dieting leading you to mistrust and ignore your body’s natural signals of hunger and fullness and instead to impose rules about when you can eat, what you can eat, and how much regardless of when you are actually hungry or how much you are actually hungry for. This naturally sets you up to have no confidence in your choices about what is truly reasonable for you to have at any time and to feel guilty eating anything at all unless you have finally ‘arrived’ at that magic number on the scale or that magic pant size, and even then, if we’re honest, we still don’t feel at peace and we still don’t trust ourselves not to blow it! And that’s what the diet industry calls success! Well, I call that hell frankly! 24/7 preoccupation with what we’re eating and when we are eating and what others think about what we are eating is not living, it’s existing. So, call it what you want: Binging, binge eating, emotional eating, stress eating, compulsive eating; they are one in the same: You’re eating when you’re not hungry and/or having foods that you have judgement about and aren’t entirely on side with you having. You are likely having more than you said you were going to or more than you are hungry for. That, to you, will be binging. Whether we’re talking a few crackers or a few boxes of Kraft Dinner (a personal ‘fave’ of mine back in the day) if you’re not comfortable with your choices you’re going to see it as binging. And in my mind, that is the only definition that matters. 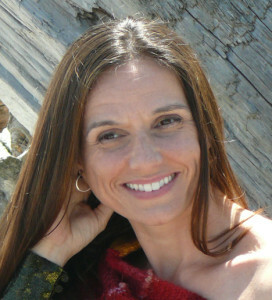 Love Michelle Stay connected to Michelle through her ezine and blog and find out how truly easy it is to have lasting peace with food and with your weight.